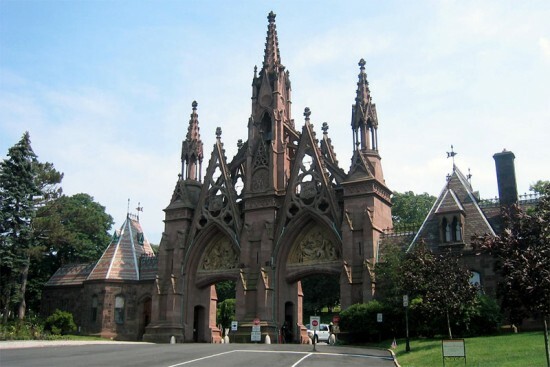 Search results for "Green-Wood Cemetery"
In an effort to preserve its extraordinary views of New York Harbor, Green-Wood Cemetery, the 478-acre site that holds the highest point in Brooklyn, has hired lawyers to draft a document that aims to prevent new buildings from blocking the vista. 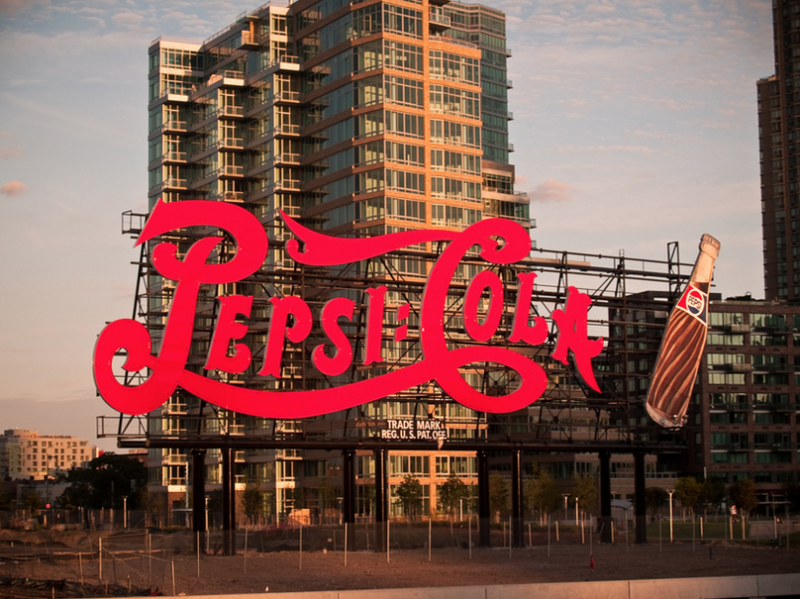 Their plan is due before the City Council this fall, and, if passed, would potentially put the brakes on dense new development in contested areas of Brooklyn including the Red Hook waterfront and Sunset Park. 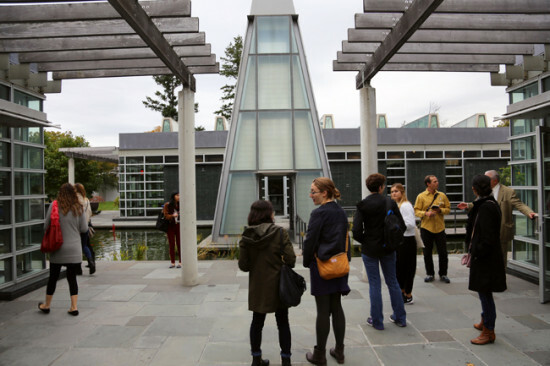 The cemetery’s plan, contained in a 197-a document currently under review by local community boards, would protect what it calls the Battle Hill view corridor, a line of sight linking the cemetery and the harbor. 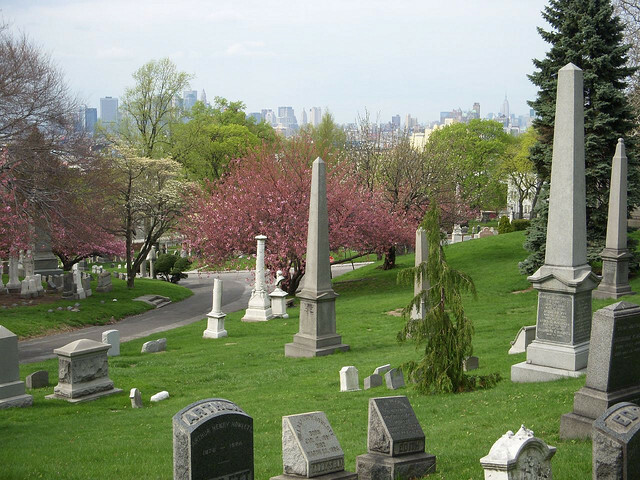 Green-Wood argues that such a view is historically significant: Home to such luminaries as Leonard Bernstein and Boss Tweed, the cemetery is built on the site of the Battle of Brooklyn. To commemorate the event, a local businessman named Charles Higgins erected a statue of the goddess Minerva in 1920. She faces New York Harbor and salutes the Statue of Liberty. 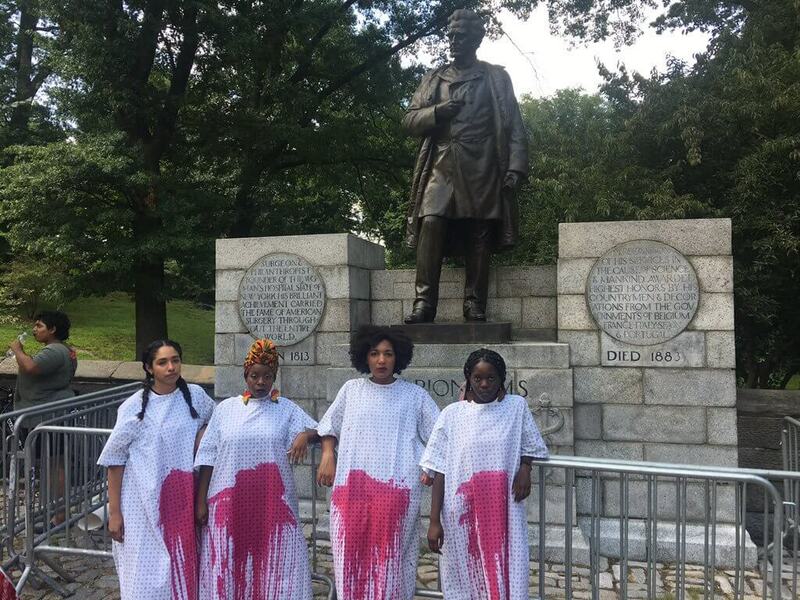 Aaron Brashear, co-founder of Concerned Citizens of Greenwood Heights, said that the view corridor linking the two statues has come increasingly under threat since 2003, when Community Board 6 voted to restrict building heights. Since developers could no longer build towers in Park Slope, they headed south to Greenwood Heights, which begins on the south side of 15th Street. “Developers literally moved across the street. I mean literally,” Brashear said. 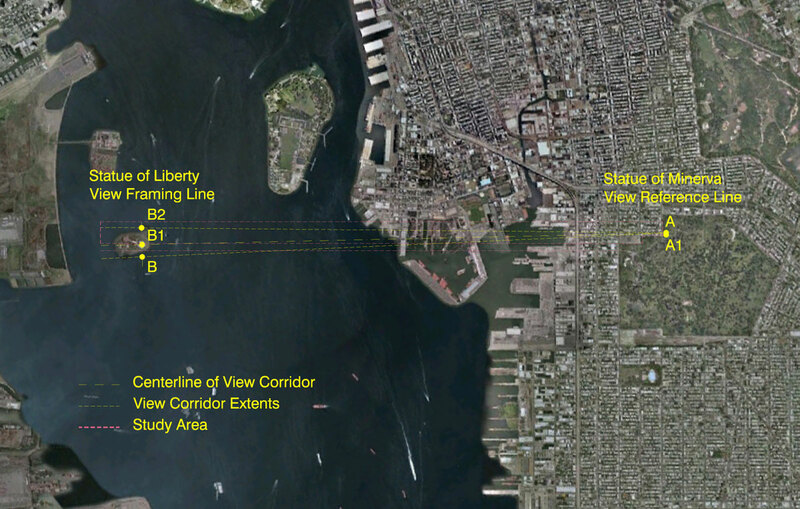 The view corridor from the Minerva statue to the Statue of Liberty. 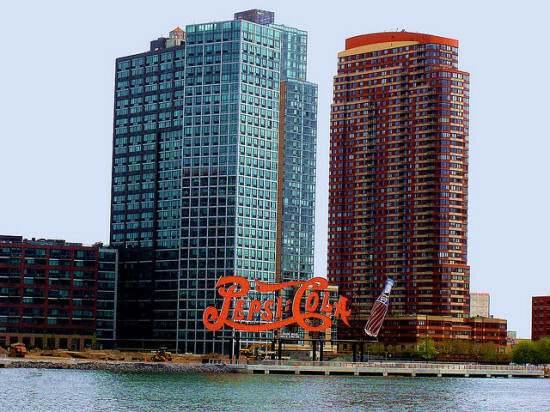 Two years later, Robert Scarano began to develop a site at 23rd Street and 7th Avenue, across the street from the cemetery, knocking down a building that Higgins had once owned, which at various times served as a wire factory, a dairy wholesaler, and a warehouse. 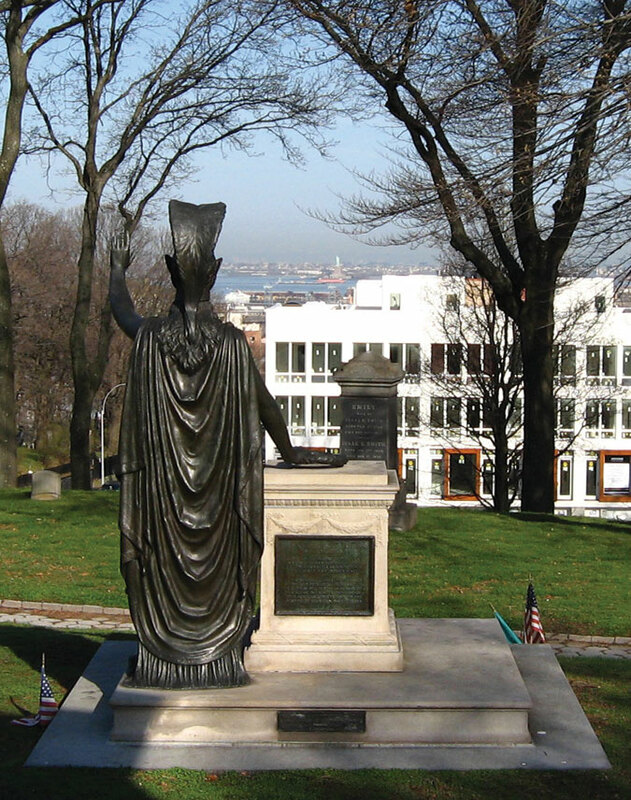 The new building, to be approximately 65 feet in height, would have permanently blocked Liberty from Minerva’s gaze. In 2005, after Scarano began construction, the area was rezoned from R6 to R6B, limiting street walls to a height of 40 feet. Scarano appealed to the BSA that the unfinished building should not be subject to the new restrictions, but lost. The site was eventually taken over by Aron Liebovits, who built 11 single-family houses that do not block the view. Still, Brashear, a graphic designer who also serves as the buildings and construction committee chair of Community Board 7, worries that tenants’ roof access, available to all but the corner building, will mar the vista. While a 197-a plan is only an advisory document, the cemetery and local activists hope legislation will eventually be drafted to protect the corridor. Brashear pointed out that the city has protected views in the past. In 1974, city zoning documents were amended to preserve “Special Scenic View Districts,” a provision put in place to save the view corridor linking the Brooklyn Heights promenade and Lower Manhattan—still, according to Fisher, the only such protected view in the city.